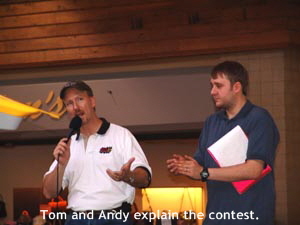 Rock 104 and Kim's "Shoot the Bull" Dodge Caliber Giveaway, Saturday, May 13, 2006 at Sawmill Square Mall in Laurel. 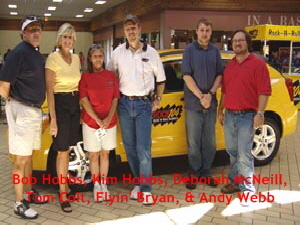 All the contestants holding up their Hardee's boxes. Only 1 box has "NO BULL" in it. The rest have Hardee's Thickburgers. Thanks to Hardee's for the Thickburgers and boxes. 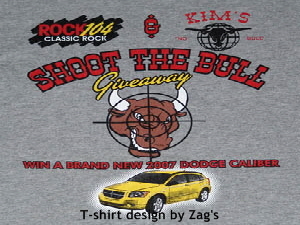 Each contestant also received a Collector's Edition Rock 104 shirt designed by Paul at Zag's. 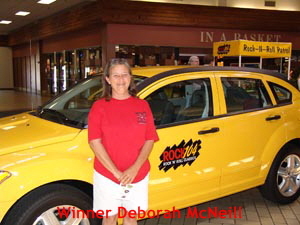 Special thanks to Kim's Dodge for providing the 2007 Dodge Caliber.